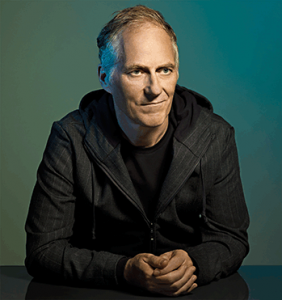 Founder and CEO Tim O’Reilly of O’Reilly Media is not at all surprised that Google, Facebook, and Apple are struggling to preserve their aura of cool. Mr O’Reilly points to New York Times columnist David Brooks, who was been caught wondering out loud if Big Tech is destined to follow Big Tobacco as “peddlers of destructive addiction”. Mr Brooks argues that social media has not delivered on its promise to end loneliness and has increased solitude and awareness of social exclusion instead. This happens during the lifecycle of every major new technology, Mr O’Reilly believes. He has been quoted as saying that television, once hailed as a great educator, has made us into “dumbed-down couch potatoes”. The automobile has changed the world but has come a culprit of pollution. With each new development, Mr O’Reilly notes, initial optimism is eventually replaced by a more balanced – and often much less rosy – assessment of the technology’s impact, usefulness, and ultimate meaning. Tim O’Reilly did exceptionally well out of that optimism. Early on, he recognised the many opportunities of the IT revolution to empower people with a solid understanding of the technologies driving the internet. Starting with HTML, O’Reilly Media launched a series of books – often hefty tomes – and courses to explain programming languages to the uninitiated but curious. Via exceptionally well-structured step-by-step courses, students were able to dive deeper into their language of choice, emerging not only with a solid understanding but also with the ability to apply their knowledge instantly to real-life situations. Tim O’Reilly is credited with coining the phrase “open source software” for non-proprietary technology and coming up with the concept of Web 2.0 to describe dynamic websites that interact with their users – as opposed to static sites that merely display content. In 1993, Mr O’Reilly’s company also made history by building the internet’s first web portal – the Global Network Navigator (GNN) which two years later was sold to America Online (AOL), a deal which kicked off the dotcom bubble that burst in 2001. An internet guru with a large following, Mr O’Reilly is not overly concerned about the concentration of power in the hands of a few tech giants; the dominance of these large corporates, he believes, will prove their undoing. Whilst working at Microsoft, early in his career, Mr O’Reilly watched that company exercise so much control over the personal computer market that it would dictate to venture capitalists what to invest in, and tell business people what to do. Innovators were no longer able to make any real money, so they started looking elsewhere. Then along came a new-fangled thing called the internet, and the playing field opened-up. Mr O’Reilly sees evidence of history repeating. Venture capitalists and entrepreneurs are always trying to figure out how to hitch a ride on the tailcoats of Google, Facebook, Amazon and the other big tech companies, hoping to gain some market share before being gobbled up or put out of business by the big boys. Big Tech is notoriously slow to catch-on and will take a while to turn the ship. Mr O’Reilly sees these repetitive movements in a more philosophical light: long-term greed, increasingly rare, is actually a good thing because it can engage with customers and partners to make the pie bigger. Everybody can gorge on a larger slice. But Big Tech is mostly motivated by short-term greed and a zero-sum approach to business. Market share becomes all important; not the size of the market. Few people in the IT business have done more to educate new generations of programmers than Tim O’Reilly. Many of today’s innovators got their first crack at coding whilst hunched over an O’Reilly book – always with a picture of some fuzzy animal gracing the cover – trying to push the boundaries of a language or coming up with novel ways to implement functions or establish routines. As the coding environment got fragmented with a bewildering number of languages, O’Reilly Media diversified its courses, staying on top, if not a few steps ahead, of developments and trends. The company’s current subscription-based Safari Online series of courses and publications is still the go-to place for anyone brave enough to venture into programming. There is little doubt that the next generation of geeks will also be shaped by Tim O’Reilly.